Experience Hendrix Returns With Biggest Line-Up Ever! Lauded by critics and fans alike, the multi-artist Experience Hendrix Tour is set to return in 2017 to celebrate one of music’s greatest innovators: Jimi Hendrix. This latest edition of the annual tour will kick off on Friday, February 17 at the Arlene Schnitzer Concert Hall in Portland. Now in its second decade, the tour celebrates the musical genius of Jimi Hendrix by bringing together a diverse array of phenomenal musicians. Billy Cox, bassist for both the Jimi Hendrix Experience and Band of Gypsys, anchors a rhythm section that provides the foundation for exciting renditions of numerous signature Hendrix favorites such as “Purple Haze” and “Little Wing.” Artists scheduled to appear in Portland include Buddy Guy, Keb’ Mo, Zakk Wylde, Jonny Lang, Kenny Wayne Shepherd, Dweezil Zappa, Chris Layton, Mato Nanji, Noah Hunt, The Slide Brothers, and Henri Brown. 2017 marks the 50th anniversary of the Jimi Hendrix Experience’s debut album Are You Experienced (released on May 12, 1967) as well as the follow up album Axis: Bold as Love (released in the UK on December 1, 1967). 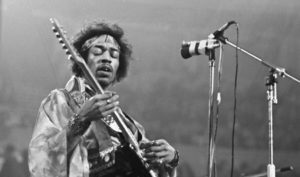 1967 was also the year Jimi Hendrix rose to intercontinental prominence when he made his U.S. debut at the Monterey International Pop Music Festival, lighting his guitar on fire to a mesmerized audience. The repertoire from this stage of Jimi’s career serves as a cornerstone in Experience Hendrix Tour sets, as songs like “Fire,” “Manic Depression,” and “Are You Experienced” are played by various musicians on a nightly basis. Experience Hendrix at the Arlene Schnitzer Concert Hall, 1037 SW Broadway Avenue starts at 8:00 pm. 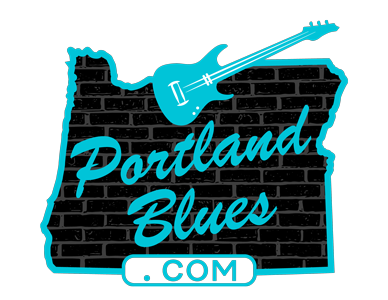 Tickets range from $42.50 to $95.00 and can be purchased online at TicketsWest.com or at the Portland’5 Box Office. Every pair of tickets purchased comes with one (1) physical CD of the new Jimi Hendrix album, Machine Gun. You will receive an additional email with instructions on how to redeem your CD.